A diet rich in vitamins and nutrients is important for our well-being. While there are many ways to meet your daily nutritional needs, some foods pack a more powerful punch than others. 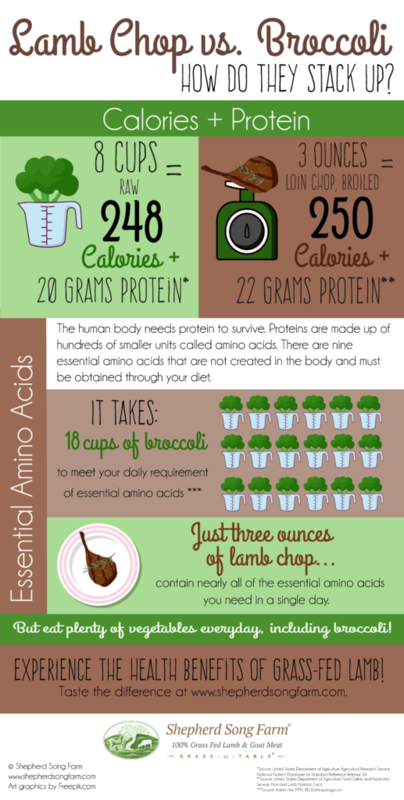 Here’s a comparison of two foods we love: Broccoli vs. Lamb Chop.